A guided session into shamatha-vipashyana meditation, a foundation of the awakened life. Shamatha-vipashyana is a profound form of meditation that illuminates and purifies the obstacles to spiritual realization. Tibetan Buddhists today regard it as both the foundation and the pinnacle of the awakened life. With Pema Chödrön, you'll learn the nuances of this subtle and deeply rewarding practice in this accessible introduction and guided meditation into the experience of pure meditation. 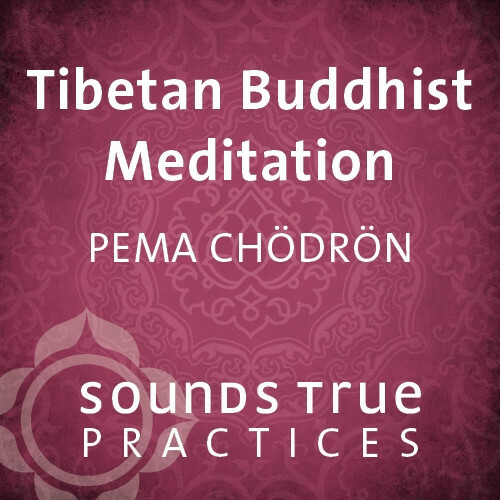 This session is excerpted from Pema Chödrön's 2-CD audio program Pure Meditation. For me, Ani Pema Chodron is the most relatable and clear Buddhist teacher among all of the teachers I have had retreats with and/or read. I have many of her teachings and they are all so succinct yet taught with such heart. I have had retreats with or read his Holiness Dalai Lama, Thich Nhat Hanh, Jack Kornfield, Adyashanti, Sylvia Boorstein, Howard Cohn, Mark Coleman, Jon Kabat Zinn, amongst others - they are all wonderful teachers. However, I resonate most with Pema Chodron. She encourages us all to embrace: fear, sorrow, loneliness, groundlessness with love and compassion in a way that is very approachable. She invites us to be fascinated, as she is, by paradox. She tells us the realities of being on the path are incredibly difficult and takes tremendous courage but she also gives us the tools to work with if we really want to change. As a woman, I have also found that her expression/interpretations of Buddhist teachings and her personal journey resonate more with me. Ani Pema's open, easy and oh so grounded instructions on this foundation practice of Tibetan buddhist meditation just might be the most 'accessible' around. She always comes from right where we are, while being precise and clear.